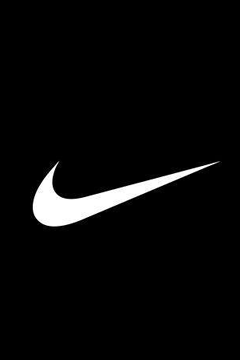 When most people think of Nike, they tend to think of superstar athletes like Michael Jordan, Mia Hamm or LeBron James. Yet, when Nike’s own employees think of their company, they think of a scrappy 5’9″…139 pound mustache wearing runner named Steve Prefontaine, otherwise know as “Pre”. His philosophy and style was to run without limits…to see who was the hungriest, to determine who had the most guts…to challenge and punish his competitors will. His pursuit of athletic excellence is legendary as was his relentless competitive spirit. And in this post, my goal is simple…to infuse with the spirit and soul of a champion and to make you unstoppable in the pursuit of your goals. Your success in any endeavor is forever linked directly to your heart, your will, your steadfast commitment to goals. You cannot ever let fatigue make you a coward, nor can you ever expect to win without struggling, without suffering, without sacrificing…as these are all essential elements of the DNA of winning. Does your behavior demonstrate a relentless determination? Is your resolve stronger and grittier than your fears and excuses? Are you prepared to do whatever it takes, for as long as it takes? Will you consistently out-suffer your competition? Your answers reveal a great deal about your future success. Being relentless is a commitment and intention that stands in the face of obstacles, hardships, temptations, financial difficulties, failing physical health, broken relationships, and stiff competition. By choosing to be relentless, you are demonstrating no abatement of severity, intensity, strength, or pace, nor are you softening or yielding in determination. The relentless attitude is the winning attitude and the remarkable thing about life is that we have a choice everyday regarding the attitude we will embrace for that day. What that means is…you can choose to be relentless, or you can choose to roll over and surrender to weakness. You cannot change the fact that people will act in a certain way. You cannot change the inevitable. The only thing you can do is to play on the one string you have, and that is your attitude — your relentless, unstoppable, unbeatable attitude. Being relentless is an empowering and forceful work ethic that drives us onward and upward towards our goals. The inner passion of determination, the indomitable emotional commitment to a worthy goal or an ennobling cause, is an awesome and liberating force. Victory belongs neither to the faint-hearted nor to the weak-willed or the uncommitted. Not if the enemy is great and his resolution strong. Only by facing the opponent head-on and with a vengeance can the battle be won. Victory necessitates that we fight on with undying, relentless determination. The rewards for those who are unyielding in their pursuit of success far exceed the pain that must precede the victory. Greatness loves the relentless ones, as it’s hard to beat a person who never gives up…and there are very few obstacles that can withstand the relentless attack of one bold move after another. So, why should you put yourself through so much pain, sacrifice, and suffering? Because if you can pass the big tests, if you can overcome the seemingly impossible, if you can deliver a knockout punch to fear and still keep moving forward onward towards your goals…you will inspire others and prove to yourself that you can accomplish anything you set your mind to. 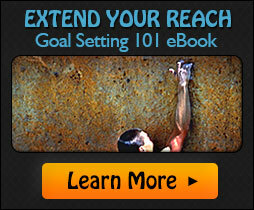 There truly are massive returns to suffering and being relentless in the pursuit of your goals.